How do I know what ward I live in? Where do I go to vote? 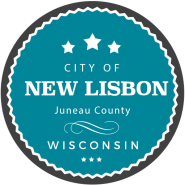 All voter in the city of New Lisbon vote at City Hall, located at 232 West Pleasant Street. Election hours: 7:00 a.m. – 8:00 p.m. The State of Wisconsin Election Commission has all the forms available for download at their web site. Below are links to some of the most requested forms. Designed by Town Web Design, LLC.